Here is a report from Israel that they have NOT found the barley to be aviv (mature). Has anyone seen any other reports? Looks like we will have one more month! I feel that this is YHWH granting us MORE TIME!!! More time to prepare our hearts and souls, more time to preach the gospel, more time to warn those around us, more time to do whatever NEEDS to be done. That puts the new year at April 7/8 for conjunction followers, and 9/10 for sliver followers. Two weeks afterwards we will be observing Passover! 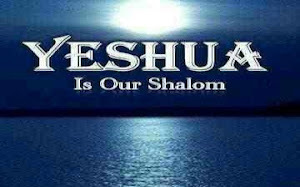 May YHWH bless our homes and families as we all seek to serve him with our whole hearts, minds and souls!